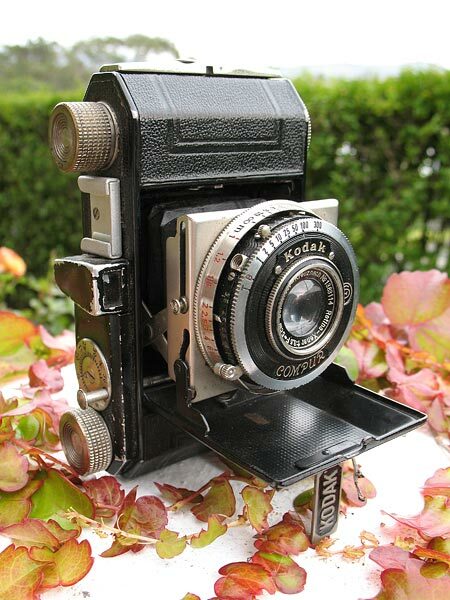 Manufactured in 1938 & 1939, this model was identical to the type 141 except that it was finished in black paint, and fitted with nickel-plated brightwork. This one has had an accessory shoe fitted, and this was definitely not a Kodak part. The type 143 Retina I was available with an f/3.5 5cm. Retina-Xenar lens, fitted in either a Compur or a Compur-Rapid shutter. Retina I type 141 (functionally identical to this model) instruction manual on Mike Butkus' excellent website.